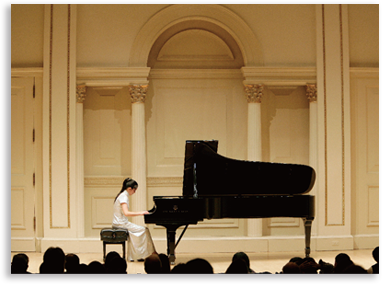 Award-winning pianist Chang Shao-Hsun has performed extensively in Taiwan and the United States. 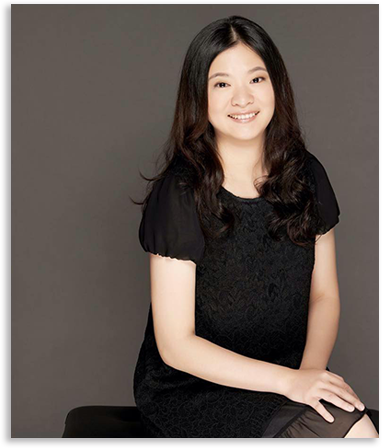 Her performance highlights include recitals at Taiwan’s National Concert Hall, the Shandelee Music Festival in New York, and Carnegie’s Weill Recital Hall and Kaufman Center’s Merkin Hall. As a collaborative artist, she accompanies diverse instrumentalists and singers for more than two decades. She also served as accompanist for the Peabody Institute’s Opera Department, participating in productions of several operas, such as La Traviata, Melissa Shiflett’s contemporary opera Dora, and Peabody Opera Outreach’s Papageno. In addition to performing, she also writes her own compositions, including pieces for piano solo and clarinet/piano duet. Dr. Chang earned the Master and the Doctor of Musical Arts degrees in piano performance from the Peabody Institute of The Johns Hopkins University, where she studied under world famous pianists Alexander Shtarkman. In recognition of her outstanding performances at Peabody, she received the Pauline Favin Memorial Award upon graduation. She currently holds an Assistant Professor position at National Taipei University of Technology, teaching music and art related courses.